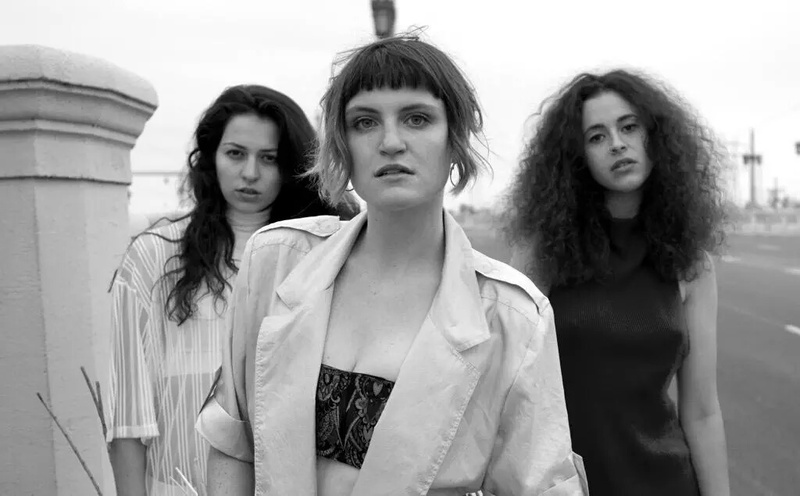 MUNA, a self-described “dark pop” band from LA, opened for Grouplove at The Fillmore last week. Members Katie Gavin (lead vocals), Naomi McPherson (guitar/synths/vocals), and Josette Maskin (lead guitar/vocals) make up the band, with a bassist and drummer who join them live. The three girls met at USC in college and have been recording their music in bedrooms across Los Angeles and New York City. Having received attention for being a band that is not only all-girl but also all-queer, the three are making waves in the synth-pop scene. Their music is dark but sensitive, featuring pulsating synths, Imogen Heap-esque harmonies, and lyrics that are at times brooding but always piercingly sincere. During their live performance, the three girls were as one. Every harmony was perfectly in tune, every tempo shift or mood change instantly reflected in all three musicians. During their last song, they began to jump in place at the same rhythm, rising up and down perfectly in-sync. MUNA’s debut release, “The Loudspeaker EP,” is out now via RCA Records.